15 Kms. from Airport, 7 Kms. from Railway Station. 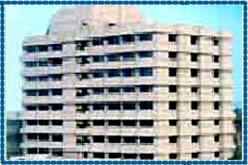 Hotel The Residency Towers is situated in close proximity to the major business houses of the city. Hotel Residency Towers is situated in the heart of the business district of the city. Hotel offers a comfortable luxurious rooms for business travellers to the city and is counted among the best in the hotels in Chennai. The towering hotel is situated close to some of the business houses, best shopping plazas and entertainment centres of the city. Hotel offers guests with 171 rooms that are designed and decorated to provide the guests with the best of the comforts. The hotel rooms are well serviced by some of the most well trained staff available in chennai. All the rooms of the hotel are well designed and furnished to provide for a pleasureable stay at this hotel. Doctor on Call, In House Laundry, 24 Hours Money Changing, Baby Sitting,Valet Parking, Travel & Facilitation desk, Exclusive Executive Floor & Lounge, Business & Communication Centre, Browsing Centre, Open Swimming Pool, Ladies Floor, Gymnasium,Spa,Parlour, Saloon,Aerobics & Yoga, 'Land Mark'- The Book Shop, Ample coveredcar Parking, Pool table, Non-Smoking Floor, Bike & Barrel - 'Resto Bar', Tea-Coffee maker, Digital room safe, hair dryer, Internet facility, Speaker Phones, Electronic Card lock.